New week, new Monday, new goals for the week, new motivations, new aspirations. I'm refreshed and ready to take on this week's challenges. After last week's ups and downs at work, I learned how to manage my time and my projects a lot more and in a more efficient way. Last week, there were moments where I felt like I was drowning in my work, and all these requests and projects that were thrown at me were making me feel really overwhelmed. But, going through that made me think about it all over the weekend. 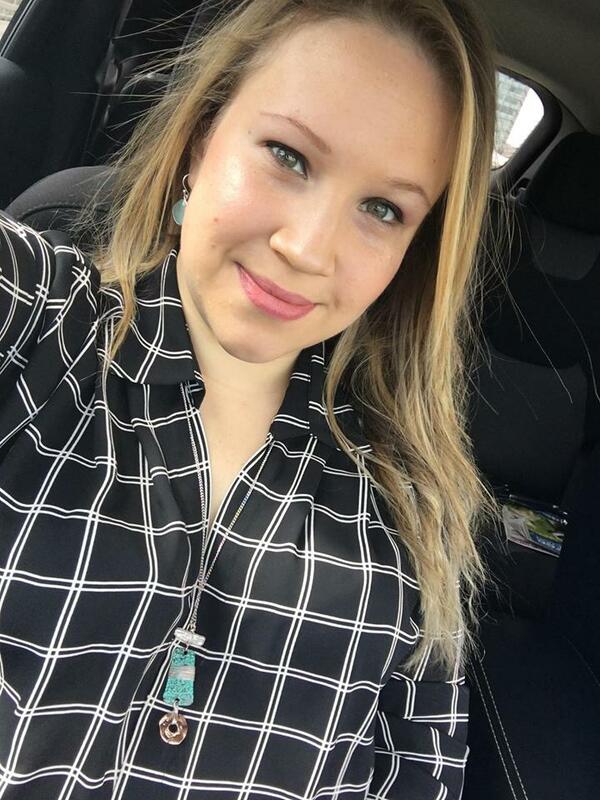 I was able to breathe, mull things over, and plan on how to incorporate all of my new jobs and assignments into a cohesive hour-by-hour daytime schedule. And, it worked! Today could NOT have gone any smoother. I got to work, did all of my daily tasks, worked on some side projects, and I almost even completed one of my biggest monthly reports, right on time for tomorrow's meeting. By no means does that mean I can slack tomorrow. I have to go into work with the same focus I had today... and, I'll accomplish that by resting tonight, and... enjoying The Bachelor! Oh c'mon, you know I wasn't going to let this opportunity pass me by. It's Monday! LOL Have any of you been watching it? I'm all the way to the Wisconsin group date. I really like all the events that have led to this point. The first one-one-one date was super cute; I loved how Nick showed the contestant all of his childhood haunts while sharing stories from his past. Then, when it came time to the group date, it brought flashbacks from my childhood, when we used to have cows over at the farm. I used to help my Dad feed the cows, and I sometimes would even help him milk the cows, or better yet, watch him milk the cows and run to take the milk to my Mom. It also made me think about how my Mom's go-to snack back in the day was tuna salad. She would go crazy inventing all different kinds of tuna salad, as well as chicken salad. She'd chop apple, celery, onion, anything crunchy with flavor, and mix it into the tuna. As soon as she'd see a new recipe whether in a magazine or on Food Network, she'd run to try it. So, she definitely fed my love for tuna. I guess, because of this, you can say that today's post is an ode to her. Today's tuna recipe packs a flavorful punch with ground cumin, while having a kicking bite with chopped jalapeños and cucumber. This quick tuna salad bite would be great as a snack or even as an appetizer. I definitely think my Mom would approve of this recipe! "This bite has protein from the tuna and a crunchy cucumber base." 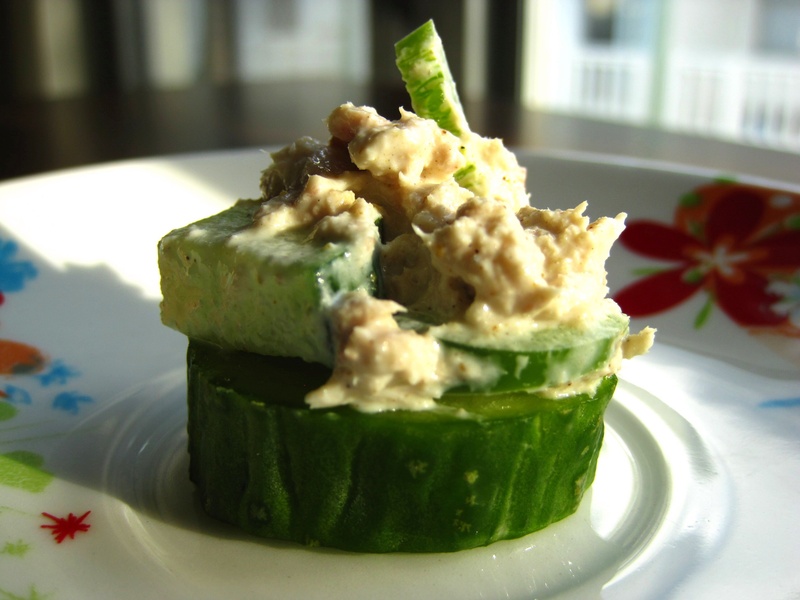 1) Cut half the cucumber into 12 slices; set aside. 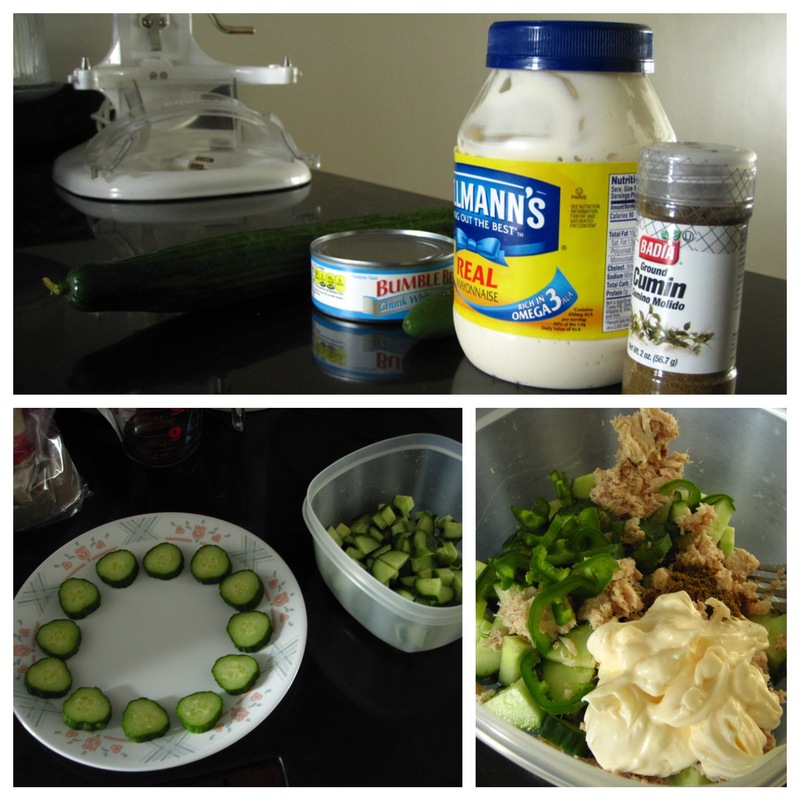 Chop the remaining cucumber; mix with the remaining ingredients. 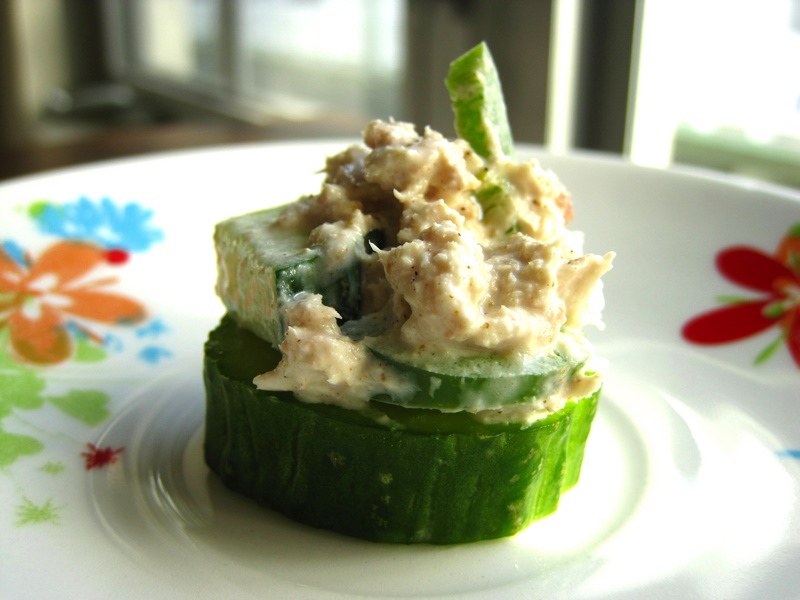 2) Put the tuna mix on the cucumber slices just before serving. YUM! These look elegant and like a perfect appetizer. Love the flavor combo, too.